Greetings, young Vikings! We know how eager you are to start your education as a dragon rider and hero, but before you begin, there are a few items of business that we would like to go over with you. For your first lesson at the School of Dragons, Hiccup will educate you on the history and relationship between dragons and Vikings. Then, you will be instructed in how to explore Berk. After this, you'll be ready for advanced lessons in no time! Your classmates will already be on their way, so find Hiccup and hitch a ride on Toothless for your very first lesson in flying! Flying Toothless - Every young Viking dreams of the day when they can finally begin flying. Lucky for you, that day is today! 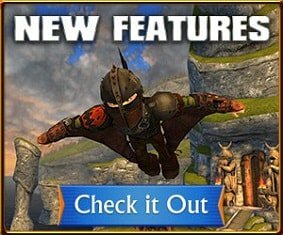 Hiccup will give you the basics of flying as the three of you make your way to the School of Dragons. By successfully completing your first flight with Toothless, you will earn your first achievement! This is a big step in becoming an expert dragon rider. Saving a Dragon - Before you can make your way to the School of Dragons, you’re going to have to learn what it means to be a Dragon Rider of Berk. Part of our job is to help dragons in need, especially from cruel Dragon Hunters. As you and Hiccup fly on Toothless, you will encounter a dragon being captured by these Hunters, and it’s up to you to save her! After your daring rescue, you have the opportunity to adopt the dragon you saved! The Dragon Hatchery - You will be guided directly to the Dragon Hatchery, where you will be able to acquire your very own baby dragon! First, our resident Viking expert, Valka, will give you some advice on the importance of choosing a dragon that you are compatible with. Just like no Viking is exactly alike, no species of dragon is the same, so it is important to choose a species that best fits your personality. To help you decide, Valka will give you a personality test. Once you have settled on a species and have picked out your egg, drop it in the Dragon Hearth to begin the hatching process. After your dragon has hatched, Hiccup will give you some pointers on how to care for your new best buddy. He will also teach you how to navigate your Adventurer’s Journal (a must for every aspiring dragon trainer) and will explain how our Ultimate Dragon Trainer (UDT) standings work. Flight Club - While your baby dragon is far too young to fly now, you don’t have to wait for it to grow up to begin your education as a Dragon Rider! Over at Flight Club in the Training Grounds you can practice flying with accuracy and endurance. Since you can’t use your baby dragon, you are more than welcome to fly with the famed hero dragons and their riders: Toothless and Hiccup, Stormfly and Astrid, Hookfang and Snotlout, Meatlug and Fishlegs and Barf and Belch with Ruffnut and Tuffnut. A Lesson in Science - It may come as a shock to you, but we Vikings use science every day! We use the scientific method to study and care for our dragons. Heather the Alchemist will ask you to speak to Hiccup about how he used the scientific method to gain the trust of Toothless. Afterwards, you will take a short quiz on what you just learned. Fishing – After your lesson in the scientific method, Hiccup will send you on an errand to collect a dragon’s favorite meal – fish! If you’ve never fished before, no need to worry! Mulch will give you your first lesson in fishing. It’s important that you fish often so that you always have an abundant supply of food for your dragon. After all, a well-fed dragon is a happy dragon. You will also be able to trade in your fish for rewards at Johann’s Trading Post. After you’ve caught your first fish, Hiccup will give you more pointers on how to care for your dragon. 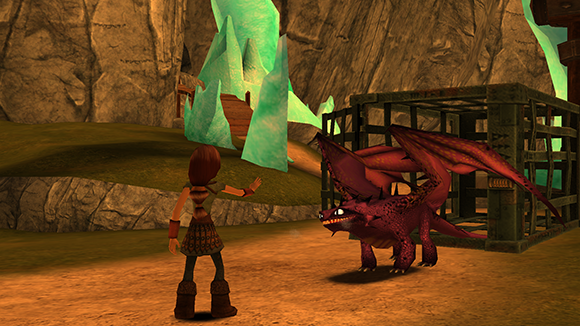 Farming – Did you know that all students at the School of Dragons are can tend to their own farm? Our botanist, Phlegma the Fierce, will show you how to plant crops, harvest them, and tend to your livestock. You are free to customize your farm however you would like. Make sure to check out the job board to trade in the crops you harvest for gold! You’ll also find Berk’s Treasure Trove, a prize box that you can unlock with the help of your fellow students. As you improve your farming skills, you will be able to unlock new crops, animals, and decorations! 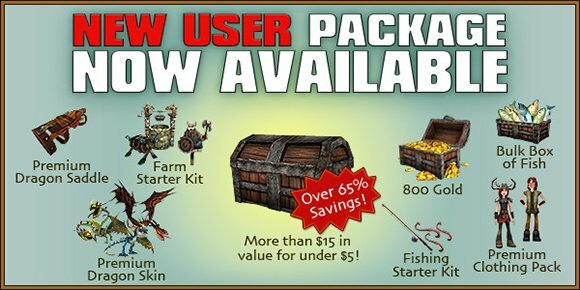 New User Perks - After learning how to farm, you will receive an offer for an unbeatable, limited-time deal on a New User Package! This package contains everything a Viking needs to get settled into the School of Dragons. However, this deal won’t last! You only have ten days to redeem this offer before it goes away forever! Fireball Frenzy - Are you ready to play with fire? Then head on over to the Training Grounds to get started on learning how to train your dragon to breathe fire with precision and accuracy! 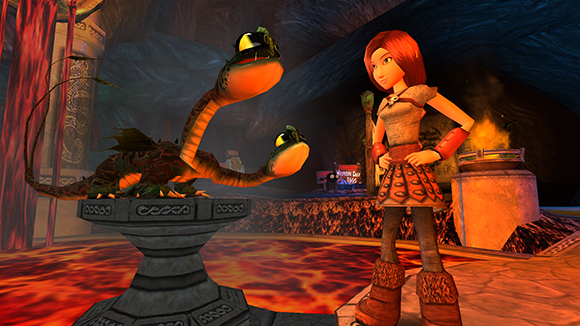 For your first time going through the Fireball Frenzy Arena, Hiccup will show you the ropes. Since your dragon will be too young to participate, you can practice with Toothless! Carrying out a Scientific Experiment - After speaking to Bucket on the landing circle at the front of the school, you will be tasked with your first science experiment. You must talk to Heather the Alchemist in front of the Lab to learn how to apply Hiccup’s use of the scientific method to an experiment. First, you will need to collect a few items from your new friends, Astrid, Fishlegs and Snotlout. Then, you will need to discuss with Heather a proper hypothesis to test. Finally, it’s time to have some fun in the Lab! After you have completed your experiment, find Bucket and share your results with him. Band Together With Other Vikings - Dragon training can sometimes get lonely, so make friends with your fellow students! The Headmaster will show you how to search for and join clans, and how to create your own. Joining a clan is a great way to befriend your fellow students in the School of Dragons. After all, training becomes easier when you have great friends by your side! Quests – Quests are an excellent way to explore the world around you and put your Viking skills to the test! You will receive your first quest from the Headmaster. Remember to be valiant, as completion of quests will earn you experience points and gold! Adventurer’s Journal - Every good student must take thorough and meticulous notes. The Adventurer’s Journal will help you keep track of all of your quests. You can also find your Field Guide, your Achievements, and information about yourself and your dragon. If you ever find yourself confused, consult your Adventurer’s Journal for guidance! Explore the Archipelago - Viking quests will primarily take place in Berk, the School of Dragons and the Wilderness. You can visit these locations using either the World Map or your own dragon (once it is old enough to fly, of course). You can also find the entrance to the Wilderness through the special cave entrance at the School. The bond a Viking forges with their dragon is one of the strongest there is, and the School of Dragons is here to help you become the best Dragon Rider you can be. During your time as a student, make sure to complete quests, care for your dragon, and train hard to ensure that you make the most of education at the School of Dragons!